Main window, the "Programs" tab. 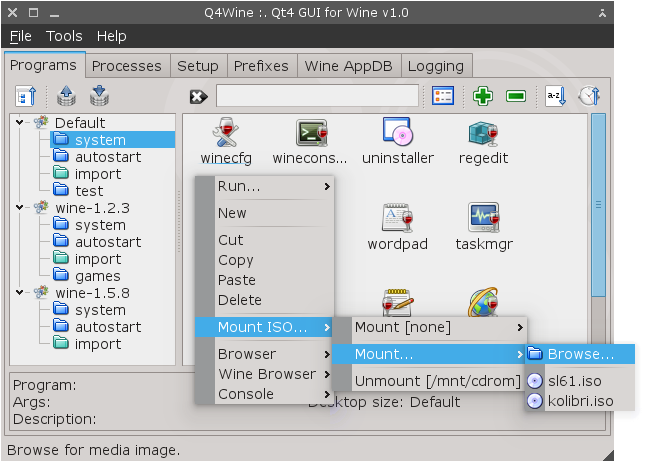 This tab allows you to create and edit Icons; Run wine binaries for current prefix; Mount and unmount CD images via Quick Mount menu entries. Main window, the "Process" tab. 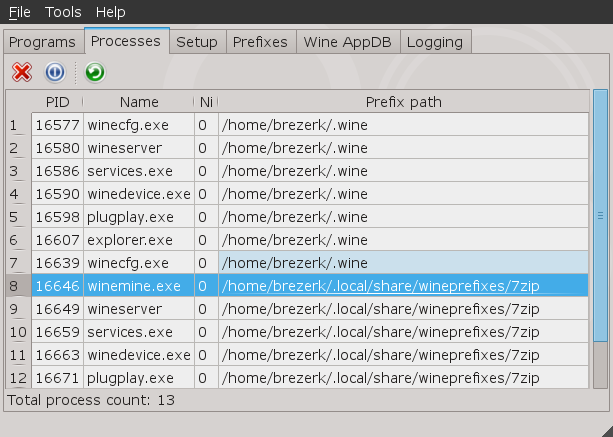 This tab allows you view and control for wine process list. Icon settings, the "General" tab. This window allows you to create or edit Icon options, like executed binary, icon, debug options e.t.c. Copyright © brezblock.org.ua 2006-2019. All rights reserved.